The International Exhibition Hemus 2018 – Defence, Antiterrorism and Security takes place during the Bulgarian Presidency of the Council of the European Union. In the course of these six months while all eyes of Europe are drawn to us, Bulgaria put forward four major priority areas, one of which is “Security and Stability”. The European citizens need security and stability. Without them, it will be difficult to foster and achieve European values. We will therefore focus our sustained efforts precisely on security, emphasizing the enhancement of border control, exchange of information and prevention. In this context, the specialized international defence equipment exhibition Hemus 2018 that has won recognition over the years as an international forum, concentrating research, technologies, specific products and systems at a single venue, opens up a real opportunity for Bulgaria not only to host, but also to actively participate in the process of sharing both experience and ideas in the field of defence and security. The priorities of the Bulgarian Presidency in the sphere of defence include active assistance in fulfilling the initiatives on the implementation of the EU Global Strategy on Foreign and Security Policy, support for the EU defence capability development, enhancing security of the Western Balkans and deepening the EU-NATO cooperation. Bulgaria emphasizes the work related to the proposal for а Regulation establishing the European Defence Industrial Development Programme (EDIDP). The EU and NATO policy reflects the unity of four key elements – security and defence capabilities, research and technologies, cooperation, and industry. Bulgaria as a full EU and NATO Member State is capable of working for the development of these key spheres by making use of the capabilities and potential provided by the European Defence Agency and the European Defence Fund especially under the Permanent Structures Cooperation (PESCO). In this regard, we need to identify the right mechanisms to ensure broad participation and cooperation in research, technology, and production activities, both at the national and international levels. Hemus 2018 provides an opportunity for our country to go beyond the national context, as regards delivering defence capabilities in technological areas where Bulgaria has traditionally boasted research, development, and industrial capacity. The dynamic security environment places new, higher demands on Bulgarian defence and the use of the Armed Forces in crisis situations in accordance with their constitutionally assigned duties and responsibilities. To guarantee the effective employment of our Armed Forces in crisis situations, we must first ensure that they have been sufficiently and adequately trained, enabled, and provided for in advance. This means managing to fully and efficiently utilize the financial resources provided by the Bulgarian taxpayer by turning them into actual defence capabilities. It is precisely this that is the philosophy underlying the governance programme elaborated by our Government. 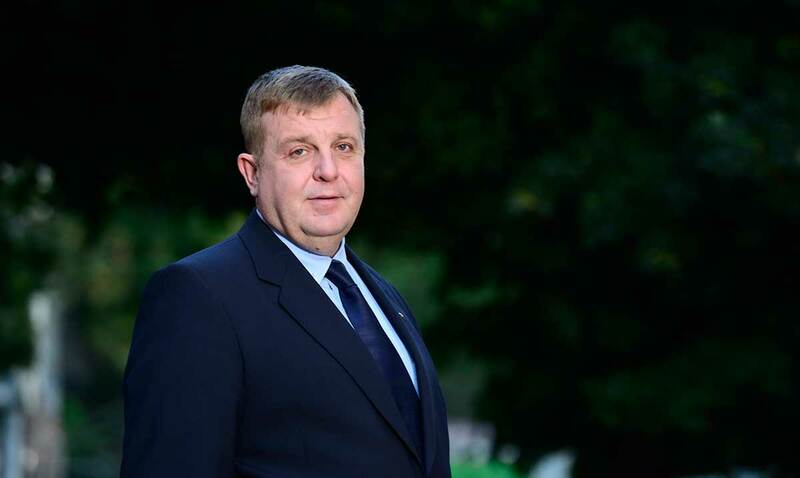 The parameters of our defence policy today are laid down in the national strategic documents adopted by the National Assembly and the Government: the updated National Security Strategy, the National Defence Strategy, the Programme for the Development of the Defence Capabilities of the Bulgarian Armed Forces 2020 (Programme 2020), and the ensuing Plan for the Development of Defence Capabilities 2020 (Plan 2020). Six specific goals and 41 measures arise from these tasks. Presently, our efforts remain focused on the implementation of the goals set out in Programme 2020 and the activities addressed in Plan 2020. Based on the lessons learned from practice, our task is to fulfill to the fullest extent possible the priorities outlined in these documents within the prescribed timelines. At the same time, our strategic thinking, as a component of our activities, demands from us to consider the perspective of our efforts for the upcoming period – after 2020. The first step, the development of a roadmap for a new long-term strategic document, the Programme for the Development of the Armed Forces of the Republic of Bulgaria until 2032, has already been taken, thus aligning our national level planning with NATO and EU planning process. We have the ambitious goal to effect those Armed Forces modernization projects which should have already been finalized. And we have the will, in the process of modernization of the Bulgarian Armed Forces, to look into and provide opportunities and incentives for the presence of Bulgarian Defence Industry in this development. Speaking of the financial parameters, we already avail of an adopted by the Council of Ministers National Plan for Increasing Defence Spending to 2% of GDP until 2024. This plan stipulates measures related to the implementation of our commitments both under NATO and the EU Permanent Structured Cooperation. A new accent is that we envisage 20% of the budget to be allocated exactly for new and interoperable armaments and assets at high-end technology level. All these efforts are aimed at the achievement of our main goal – to enhance the position of Bulgaria as a strong, active, reliable and respected member of NATO and the European Union. This context has triggered our major argument in favour of the theme of the International Scientific Conference: “Scientific Research, Innovation and Industrial Cooperation to the interest of the Common European Defence and Security”, to be held within the programme of Hemus 2018. The 13th International exhibition Hemus 2018 – Defence, Aniterrorism and Security proposes an exceptional opportunity for the companies of the Bulgarian Defence Industry to showcase their achievements and establish new partnerships to ensure the development of defence capabilities. The specialized International HEMUS Defence Equipment Exhibition is a recognized trademark in the sphere of defence industry and has become a forum for coordination and partnership between the Government, the Defence Industry, the Armed Forces and academia in pursuit of appropriate response to the risks and threats in the name of our common security. I wish every success to all exhibitors, participants and guests of Hemus 2018 – Defence, Aniterrorism and Security!